iOS 9 is on the verge of release and while a lot of details have been disclosed by Apple itself, there are some little features left that make up most of the operating system. A known characteristic of the forthcoming iOS 9 is the swipe to dismiss images in the Photos app, a feature that Facebook has already incorporated in its app for a long time. However, if the wait for iOS 9 seems cumbersome, you can get this feature on your iOS 8 right now. The simple swipe to dismiss gesture is really useful in day to day use as it tends to minimize the workload of reaching to the top of the display and tapping the back button. If you’re lucky to have a jailbroken device, you can put your hands on the PhotoDismiss8 tweak right now. PhotoDismiss8 is a new jailbreak tweak that has a very simplistic approach to dismiss photos in your stock Photos app. Let’s shed some light on the new jailbreak tweak, PhotoDismiss8. Once you install the tweak to your device, it does not require any configuration or setting. It will operate in the Photos app normally as soon as it is installed. To check if the tweak has been successfully installed, simply navigate to your Photos app and open a photo. Once you do that, perform the swipe down gesture. If the photo slides down and takes you back to the album, the tweak is working fine. However, do take note that since the tweak is an early development, its functionality is only limited under the Albums tab. The tweak fails to perform under the Photos tab which is a peculiar thing to ignore. We have no idea if other tabs were reserved for a pricey version of the tweak or has it been done intentionally. Nonetheless, the details will be updated as soon as we hear. PhotoDismiss8 is a very useful tweak that every jailbreaker should give a try. It has a simplistic approach and made for users who wish to adopt the feature before the arrival of iOS 9. 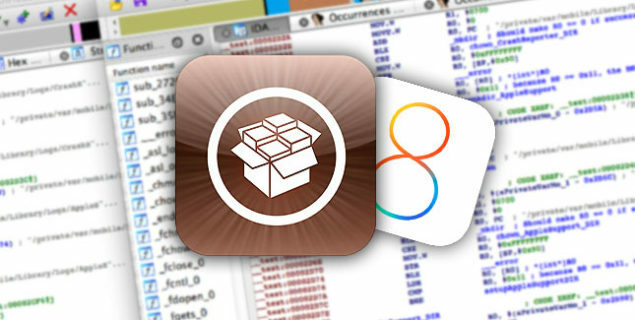 The tweak will also be of immense importance if you don’t want to lose the jailbreak status and yet have features of iOS 9. So give this tweak a swirl and let us know how you liked it.